Did you know, according to estimates by the ASPCA, upwards of 70 million dogs are owned in the United States? That means between 35% and 45% of households in America include dogs – a huge number! But for all of the unconditional love and exceptional companionship dog ownership brings, there are definitely some pain points that many dog owners endure – including one that we can all relate to: excessive barking. 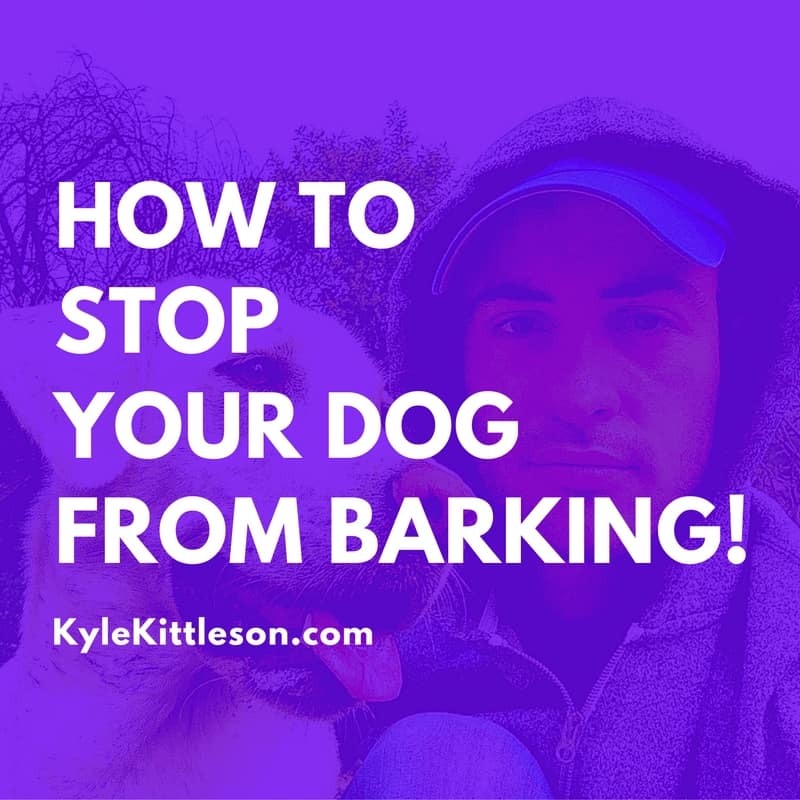 As an animal behaviorist, the question I’m asked most is “how do I get my dog to stop barking?” The answer I always give is that you need to first understand why dogs bark, and then look at how your behavior might be the problem. Think of a lazy afternoon when you’re watching TV at home. You’re not paying attention to your dog at all, and he’s lazily being quiet laying on the couch while you relax. There’s suddenly a knock at the door and he runs and barks in the door’s direction. You immediately spring to action, calming him down by speaking to him and comforting him with pets on the head. Attention, in this case both verbal and physical, is a reward to the dog for barking. Do you see how these routine behaviors are teaching your dog that barking gets results? When he was quiet on the couch, he didn’t get your attention. But when he was barking and acting aggressively, he was your main focus. Unintentional rewarding of bad behavior can be confusing for your dog, and the onus is on you to change up your routine. The most effective method of changing the narrative is to reverse your reaction. Shower your dog with affection and attention, treats and toys when he is the most quiet and well-mannered, and you’ll start to reinforce those more ideal behaviors. Likewise, work to ignore the barking and bad behavior by not touching, acknowledging, or speaking to your dog when they’re barking. Your dog will soon learn that those behaviors no longer brings him a reward. This can be difficult for dog lovers, especially at first because you’re used to comforting your dog, but trust me, the barking will soon stop and you can again reward their good behavior. There is usually no quick-fix to quiet down a dog with a long history of barking, so you can’t expect this to work overnight. We are totally switching up the rules and roles the dog has experienced their entire life with this exercise, so it’s going to take time. As a professional dog trainer, I can tell you that this isn’t theory – this is science. This science has shown that the more diligent and patient you are with this process, the more you’ll enjoy your dog’s good behavior when they understand how the reward system has changed.